When aspiring model, Jesse (Elle Fanning), moves to Los Angeles, her youth and vitality threaten a dangerous group of beauty-obsessed women. The words Nicolas, Winding and Refn are rarely penned without the addition of the word 'provocateur'. Refn’s films - from Drive to Only God Forgives - are often controversial and typically divisive. 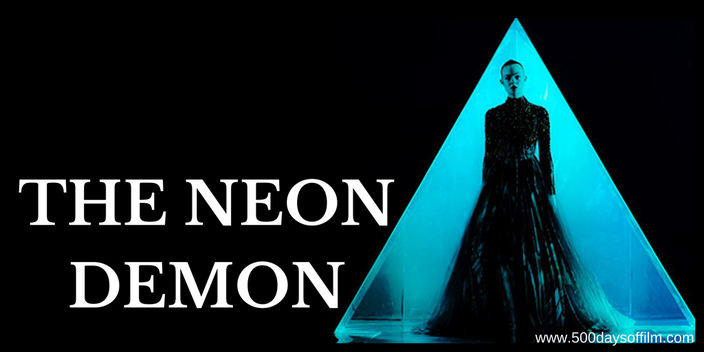 The Neon Demon is no different. Some audiences have become borderline obsessed with this film since its release in 2016. They believe that it an undeniable masterpiece. However, others dislike The Neon Demon with an equal passion - criticizing it for being all style and no substance. Let's start with what I liked about The Neon Demon. I greatly appreciated the film’s horror-inflected spirit, with all of its scathing satire and fairytale nastiness. I enjoyed Refn’s exploration of the commercialisation of beauty. His portrayal of this superficial and self-destructive world is both fascinating and disturbing. Above all else, I loved The Neon Demon’s visual style. It is, thanks to cinematographer Natasha Braier, truly stunning. Indeed, this is a film that makes you want to press pause (again and again) in order to appreciate each striking frame. I also enjoyed Cliff Martinez’s brilliantly unnerving score. The soundtrack feels like a character in its own right. While Elle Fanning is mesmerising as Jesse, it is Jena Malone’s portrayal of Ruby that eclipses all. Her brave and committed performance is the one that will stay with me (and not just for the controversial lesbian necrophilia scene). However, I do have reservations about Refn’s film. The more I think about The Neon Demon, the shallower this movie feels. Beyond the shocking violence (beauty is indeed vicious) and the controversy, beyond the soundtrack and the style, just what is there? Perhaps, of course, this sense of emptiness is the film's point. As a result, despite my skepticism, I find myself more aligned with the devoted fans of Refn’s film than alongside its haters. After all, precious few filmmakers are willing to challenge us in the way that he does and fewer still are brave enough to explore such surreal, horror-inflected waters. If you have, what did you think of Nicolas Winding Refn’s divisive film? Let me know! Leave me a comment in the section below.